I have no idea where this mountain range is or when the image was taken, but I am sure that it was made sometime in the 1950’s. It could be somewhere in Yosemite Park, but that is just a guess. If anyone knows, please leave a comment and as always … thanks for looking. 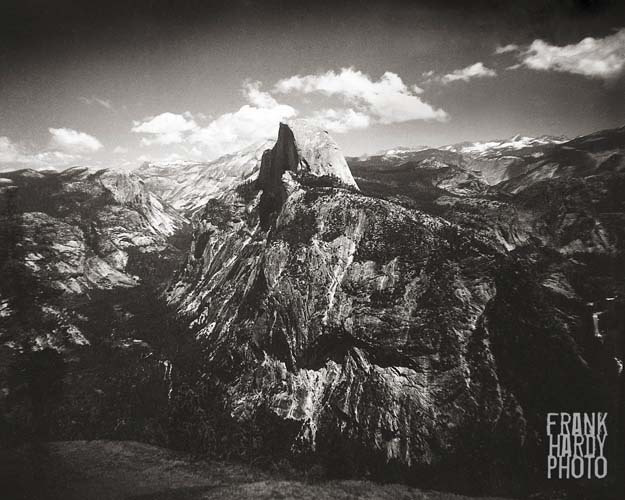 That is Half Dome in Yosemite.